I recently purchased this adorable pinafore for Stella and I'm obsessed! It is so perfect for Fall that I can barely stand it! I can't wait for it to get cooler so she can wear it!! This boutique is extremely affordable and frequently has sales that are hard to beat!! It's definitely one I shop frequently! This is my annual obsession! I love that the Fall scents come out in August, but I hate that they're only in stores until October! For that reason, I stock up on my favorite scent so that it will last me well into November until I'm ready for a Winter scent! Autumn is my absolute favorite! It has the most crisp smell with a hint of apple. It's not overly cinnamon or nutmeg-y like some Fall candles tend to be! It is seriously my favorite smell EVER! If you've not tried it before, you MUST!!! Ummm I don't know about y'all, but just reading the name of this recipe has me chomping at the bits to get a bite!! Football season is officially upon us and that means a whole lot of appetizers and snacks will be made in our house!! I'm always looking for new ideas, and I recently came upon this recipe from HosttheToast.com! I can't wait to try it and let you know how it tastes!!! Now that I'm back to work, it basically means that I'm counting down the days to casual Friday so I can get back to my jeans! I'm obsessed with this "On the Plane" ruffle sweater from Riffraff! 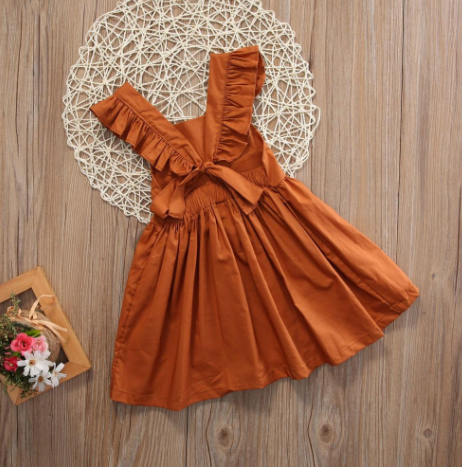 It is perfect for casual Friday and Saturday and Sunday!! If you followed Stella's 2nd birthday, you saw the precious watermelon cookies we had for her favors and for her to take to her classmates at school! I wanted to do something nice for Stella's teachers to kick off the new "school" year, even though she's in daycare and the year never technically ended/began again! Emily from Sutton's Sweets put together the cutest boxes of cookies for Stella's teachers! Each has four decorated cookies: a crayon, a pencil, a name plate with their name, and an apple!! A perfectly sweet treat to start the year!! 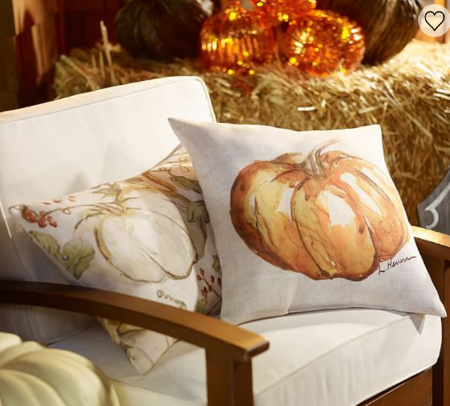 Pottery Barn had these same pillows last year and I wanted them so badly, but never got around to buying them! I'm so happy to see them back again this year!! They are indoor/outdoor pillows, so perfect for my front porch! I can't wait to cozy up next to them in a few weeks when I decorate my porch for Fall! If you're a local and you've not already been to the George W. Bush Presidential Center, I urge you to go before his Portraits of Courage series comes down! This series will run until October 1st and is a must see in my opinion! I am blown away by his Impressionist style portraits, especially since he only began painting after then end of his Presidency! He is truly talented!! Tickets are available at www.bushcenter.org! I hope you enjoy this week's SUNDAY SEVEN! !